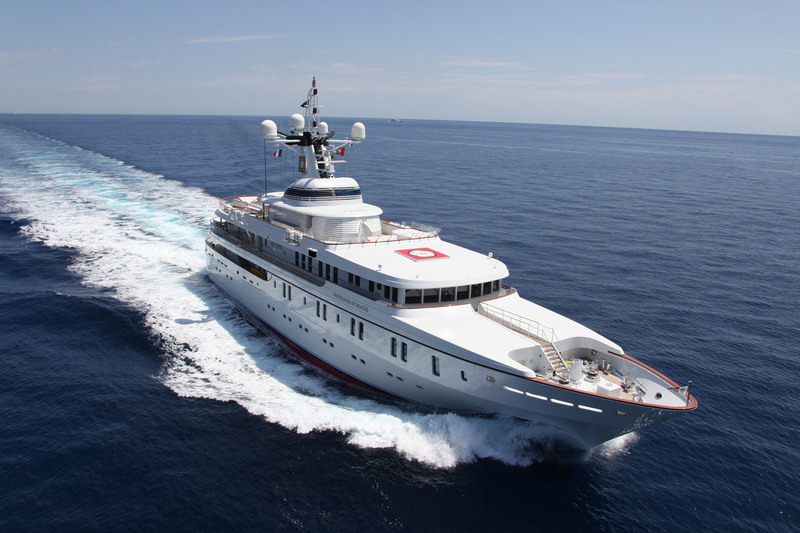 hydrographic surveys completed and some of the vessels involved. from their 1976 survey of Shelikof Strait. Okeanos Explorer, "America's Ship for Ocean Exploration"
The North Sea is becoming increasingly busy: there is more shipping traffic, offshore wind farms are being built and there are oil and gas platforms. 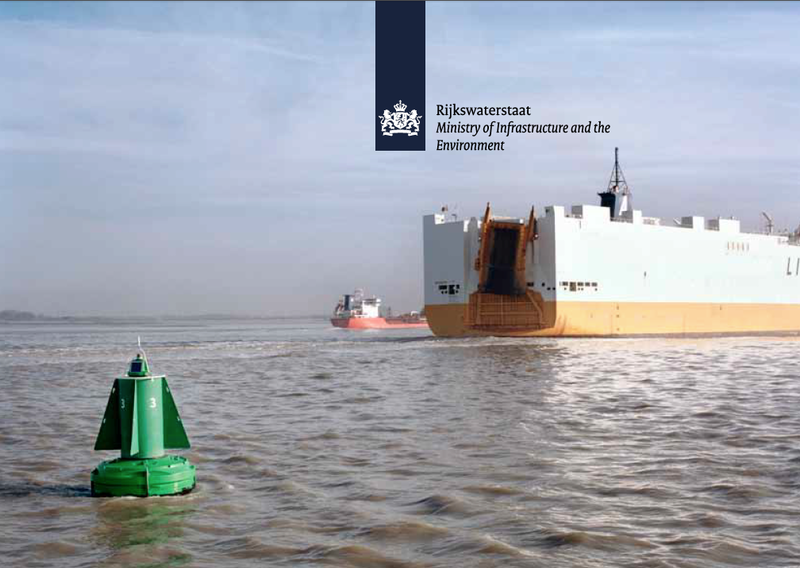 As of 1 August 2013, the Dutch Ministry of Infrastructure and the Environment (Rijkswaterstaat) will change shipping routes on the North Sea to ensure the future safety of shipping. It will be one of the most extensive operations to change routes in the world to date. As on land, the North Sea has a system of highways, but for shipping. There are various waterways for through traffic from north to south and vice versa and waterways to the ports of Amsterdam and Rotterdam. Ships can park at sea in anchorage areas. In the new situation, routes will be located further from the coast and the routes will intersect each other less often. A traffic separation scheme will be introduced in the approaches to IJmuiden to ensure that vessels sailing in opposite directions have their own sea lane. Anchoring areas will also be relocated and the space around objects such as oil and gas platforms will be reconfigured. The changes will optimise the safety of shipping, improve the access to Dutch ports and allocate North Sea space more efficiently. The new routes will ensure that ships can maintain an optimal, safe distance to future offshore wind farms and oil and gas platforms. The optimal shipping routes were determined by the initiators of the offshore wind farms together with the ports of Rotterdam and Amsterdam. A proposal was then submitted to the IMO, International Maritime Organization. This UN organisation ensures that participating countries agree to make shipping as safe and environmentally friendly as possible. The Dutch plans were approved by the IMO on 29 November 2012. Also involved in the changes are the Netherlands Coastguard, the Hydrographic Service, Maritime Pilotage, ship-owners, and fishing and mining organisations. The new routes came into force on 1 August 2013 at 02:00 local time. The change from the old to the new situation was a complex operation that had to take place in a few days. Over the past months, both national and international users of the North Sea have been informed of the changes. 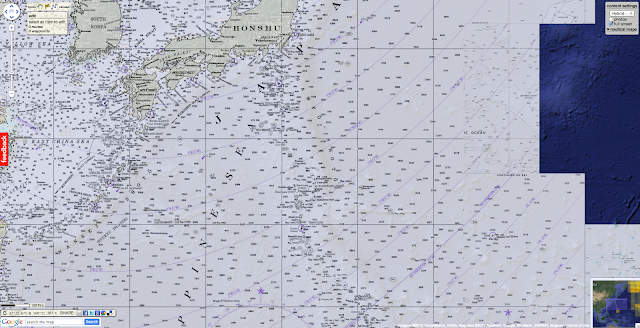 Furthermore, nautical charts were revised in June. 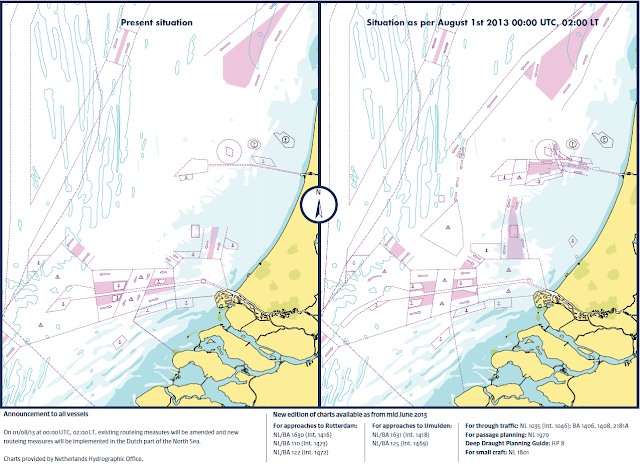 On 30 and 31 July, all buoys in the North Sea were relocated to mark the new shipping routes. Rijkswaterstaat has deployed extra vessels to further assist marine traffic in the new situation. 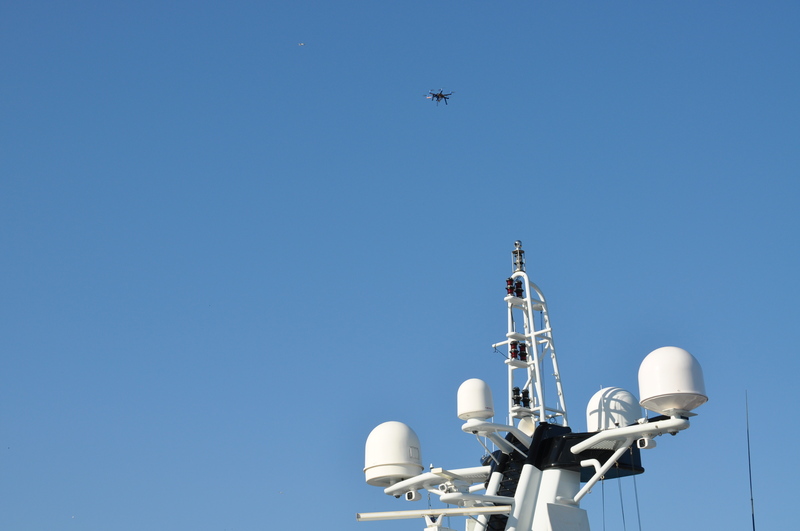 In addition, the Netherlands Coastguard will be ready to help from the Coastguard Centre or from the air. 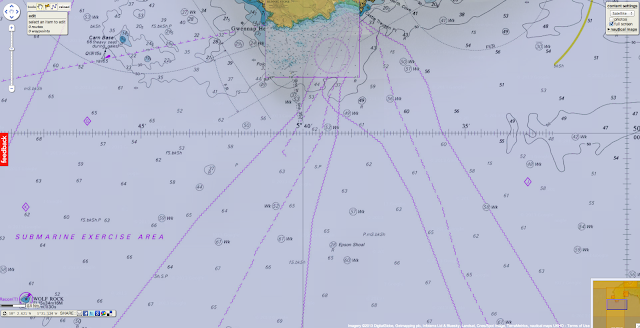 There is a mistake in the position of buoy MW2 (52-04.37N 3-08.52E, point 37 in the NAV58-submission). It appears that the position should be 52-04.54N 03-19.53E (point 36 in the NAV58-submission). All the charts/ENC’s where buoy MW2 is charted, should be corrected. and contacted the Coastguard to issue a radio warning. Seaview just launched its Caribbean expedition, beginning in Belize. The video below shows what a dive with the SVII looks like, stitched together with time-lapse photography. The images come from a Catlin Seaview Survey dive on Curacao in 2013. Oceans cover more than two-thirds of the planet—and for most of us, that’s where the story ends. Our knowledge goes only as deep as the shimmering surface, even though the oceans in their full volume provide 90% of the habitable space on the planet. More than 95% of the underwater world remains unseen by human beings. It’s as if you tried to explore the entire land mass of Earth and only made it as far as Australia. It’s a great continent, but there’s a whole lot more out there. Still, there’s a reason why we know more about our local solar system than we do about the waters beneath us. Underwater ocean exploration is expensive, difficult and sometimes dangerous. The glimpses scientists do get of the undersea world are all too brief ones, just slices of time and space that offer only a glimpse of an ocean system that has enormous impact on the planet in everything from the food we eat to the way the climate is changing. 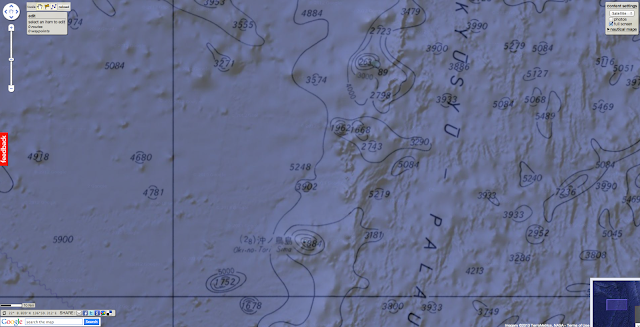 Last year the director James Cameron made news by becoming the first person in decades to dive to the bottom of the Marianas Trench, the deepest spot on the planet, in a sub of his own design. Our understanding and management of the oceans is “very data poor,” as David Kline of the Scripps Institute of Oceanography puts it. All of which is why Manuel Gonzalez-Rivero found himself floating in the Caribbean Sea off the Central American country of Belize, as his colleagues stood in a bobbing fishing boat, trying to ensure that a very expensive underwater camera didn’t get dinged as they lowered it into the seas. Gonzalez-Rivero is a coral ecologist at the University of Queensland’s Global Change Institute in Australia, but he was in Belize this past weekend working with the Catlin Seaview Survey, a scientific expedition that is trying to assess threatened coral reefs around the world with a level of unprecedented scope and detail. The camera is the SVII, and it’s actually three separate cameras, mounted at the end of a six-foot long pole and attached to a propeller sled. he propellers saved Gonzalez-Rivero the work of swimming as he covered about 1.25 miles of varied underwater terrain here on Belize’s protected Glover’s Reef, part of the vast Mesoamerican reef that stretches from southern Honduras to the eastern tip of Mexico. The custom-designed SVII has lens facing to the left, right and below, and all three snap pictures of their surroundings automatically every three seconds. Over the course of his dive Gonzalez-Rivero will produce more than 900 detailed images of the reef below him, each one rich with data about coral structure and sealife. Those images will be processed to produced a precise 3-D image of the reef, and later computers at the Scripps Institute of Oceanography will crunch the data and analyze the coral structure, allowing scientists to diagnose the health of one of the most valuable marine ecosystems in the Caribbean. What’s long been possible on land thanks to satellites eyeing rainforests and deserts will now be doable beneath the waves. “We’ll be able to see the reef as it is,” Gonzalez-Rivero tells me later on the sailing catamaran his team is using as a floating base. 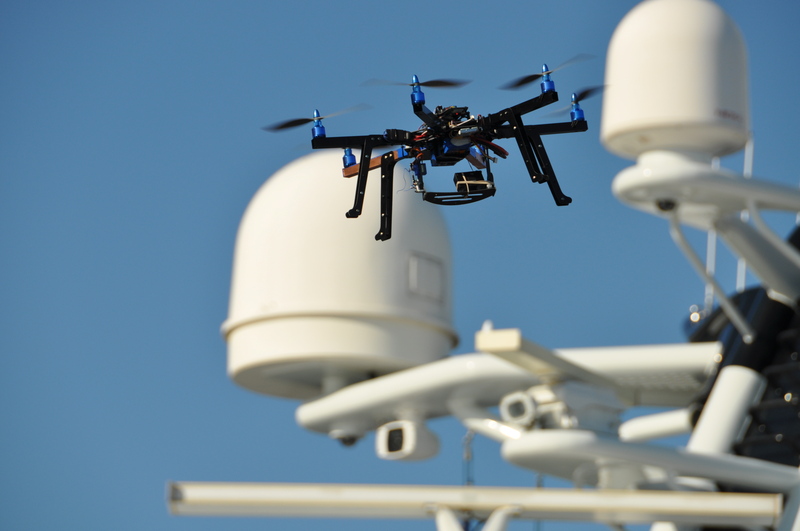 The Catlin Seaview Survey—the name comes from the Catlin insurance company, the chief sponsor of the expedition—was launched about a year ago, with the team first tackling the vast Great Barrier Reef off the northeastern coast of Australia. Begun by Richard Vevers—a former advertising executive turned underwater photographer—Seaview is nothing if not ambitious. Over the course of several years, it aims to survey every major coral reef system in the world, providing broad scientific data about marine ecosystems that are as vital to a healthy ocean as they are threatened by overfishing, pollution and climate change. “By creating a really large global baseline of coral health, we can identify the areas that really need protecting,” says Vevers. It’s not just about the science, though. The images taken by the SVII as it glides over a reef can be stitched together to create 360 degree vistas of the undersea world, the kind that would have only been available before through the eyes of a scuba diver. 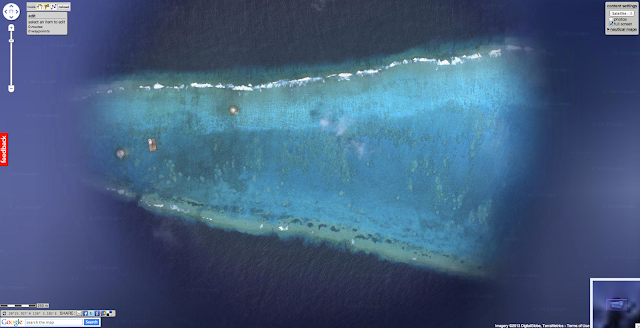 Seaview has been working with Google to bring the company’s Street View map function beneath the water—you can see some of the panoramic images from the waters off the Great Barrier Reef’s Heron Island here. Vevers knows that most people will never visit the ocean, let alone scuba dive in the tropics and see a living coral reef. The images created by the Seaview will be the next best thing. “The main reason for setting this up is to show people the oceans of the world as they are,” says Vevers. The oceans, and especially the deep, have always been a challenge for conservationists because they are so removed from everyday life. 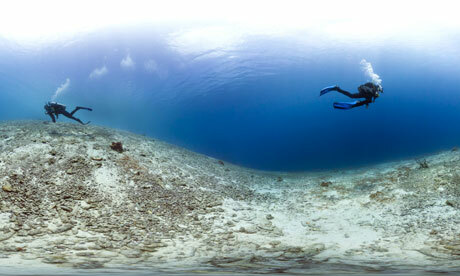 Viewed from above the waves, a healthy coral reef and a dying one look much the same. The images brought back by Seaview—viewable by anyone with an Internet connection—could begin to change that. 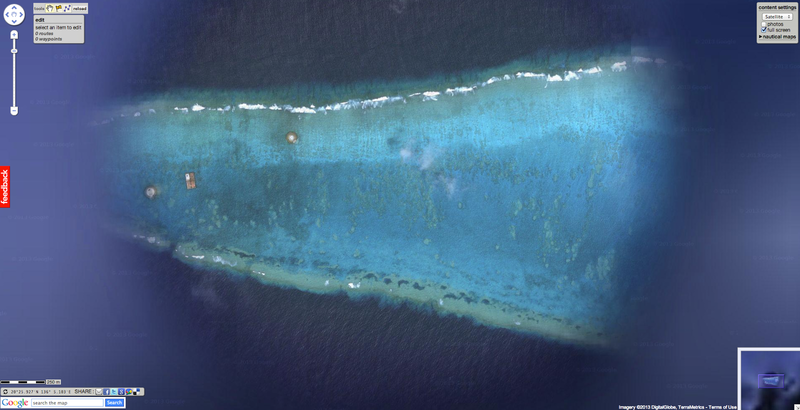 If you can dial up a view of your closest reef on Google Earth the way you can zero in on your childhood home, we might begin to notice what’s happening to the 70% of the planet covered by water. Professor Ove Hoegh-Guldberg underwater on the Great Barrier Reef. And make no mistake—the ocean, and especially the coastal coral reefs, are in trouble. The Great Barrier Reef, the world’s largest such system, has lost more than half its coral cover since 1985. Over the last half-century, some 80% of the corals in much of the Caribbean have died off because of pollution and development. As the climate changes, warming the oceans and causing the water to become relatively more acidic, corals will come under even more pressure. Researchers in the journal Environmental Research Letters recently predicted that if carbon emissions continued rising unchecked, most coral reefs would be all but dead by the end of the century. That would have dire implications for sealife—coral reefs are the nursery of the oceans, and they provide vital protection for coastlines from erosion and flooding. “Coral is an intrinsic part of sealife, and it’s valuable to society,” says Stephen Catlin, the CEO of the Catlin Group. Seaview is just beginning—over the next several years, the team expects to cover the Caribbean, the Coral Sea in Southeast Asia, the Indian Ocean and the Middle East, producing hundreds of thousands of images. Just a few years ago, it would have likely taken decades for scientists to analyze it all, with each individual image requiring 15 to 30 minutes of labor to identify pictured coral species. But the Scripps Institute of Oceanography and the University of California-San Diego, using facial recognition technology similar to what CIA employs to identify wanted terrorists in pictures of crowds, will be able to analyze the images a hundred times faster. With 90% accuracy, a computer program can scan each image from the expedition and spit out the pictured species and extent of coral growth, giving researchers a quick and accurate picture of reef health—more than a hundred times faster than such work could have been done by humans alone. 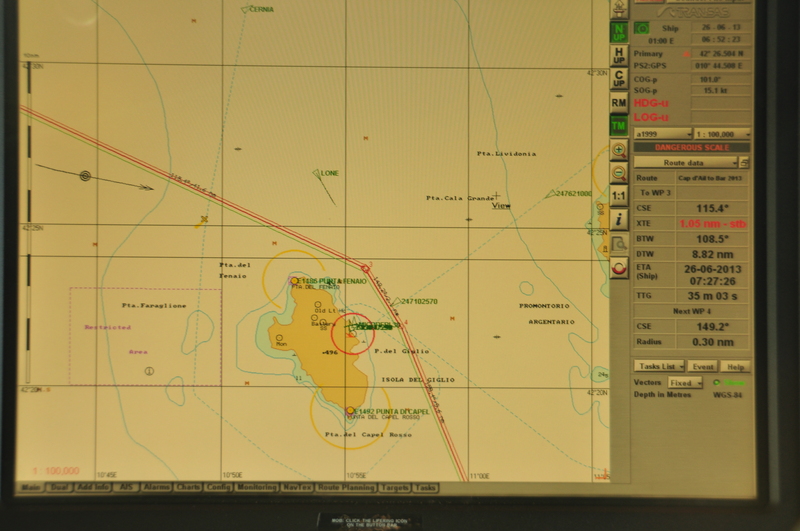 As more and more images are fed into the program, the computer will get better and better at identifying pictured coral, learning as it goes. “What used to take us years we can now do in weeks and months,” says Kline, a project scientist at Scripps and a Seaview partner. This is big data for a very big scientific challenge. The scientific data produced by Seaview will be open-source, meaning any scientist working on coral reefs will be able to access it for their own research. Dive by dive, they’ll digitize the oceans, and this remote, mysterious territory that takes up most of our planet will begin to become comprehensible—just in time to save it. 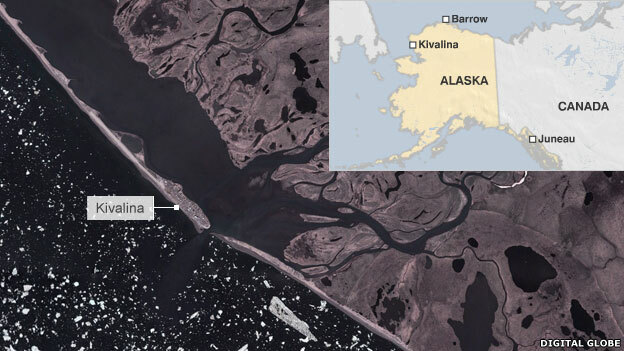 America's first climate change refugees: Hundreds forced to flee their Alaskan village of Kivalina before it disappears underwater within a decade. Almost no one in America has heard of the Alaskan village of Kivalina. It clings to a narrow spit of sand on the edge of the Bering Sea, far too small to feature on maps of Alaska, never mind the United States. Which is perhaps just as well, because within a decade Kivalina is likely to be under water. Remembered - if at all - as the birthplace of America's first climate change refugees. Four hundred indigenous Inuit people currently live in Kivalina's collection of single-storey cabins. Their livelihoods depend on hunting and fishing. The sea has sustained them for countless generations but in the last two decades the dramatic retreat of the Arctic ice has left them desperately vulnerable to coastal erosion. No longer does thick ice protect their shoreline from the destructive power of autumn and winter storms. 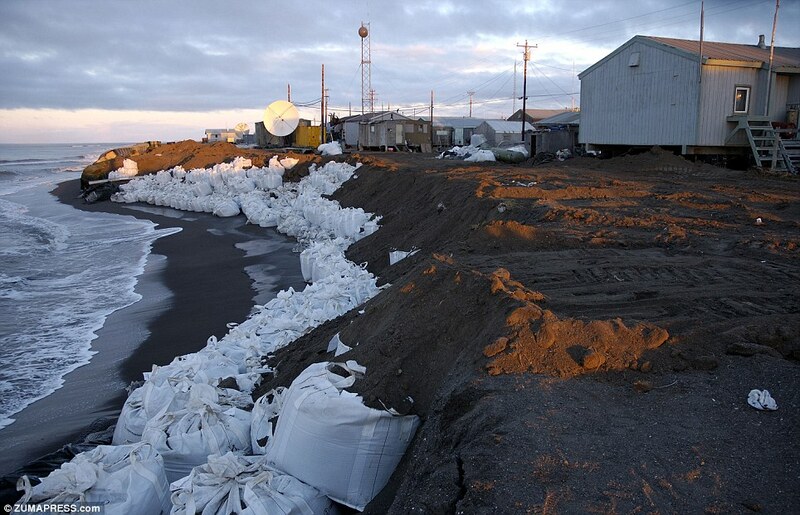 Kivalina's spit of sand has been dramatically narrowed. The US Army Corps of Engineers built a defensive wall along the beach in 2008, but it was never more than a stop-gap measure. A ferocious storm two years ago forced residents into an emergency evacuation. 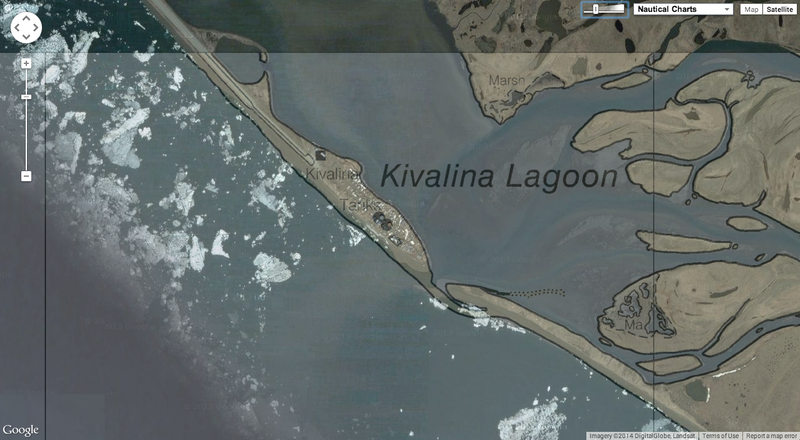 Now the engineers predict Kivalina will be uninhabitable by 2025. Kivalina's story is not unique. Temperature records show the Arctic region of Alaska is warming twice as fast as the rest of the United States. Retreating ice, slowly rising sea levels and increased coastal erosion have left three Inuit settlements facing imminent destruction, and at least eight more at serious risk. The problem comes with a significant price tag. The US Government believes it could cost up to $400m (£265m) to relocate Kivalina's inhabitants to higher ground - building a road, houses, and a school does not come cheap in such an inaccessible place. And there is no sign the money will be forthcoming from public funds. Kivalina council leader, Colleen Swan, says Alaska's indigenous tribes are paying the price for a problem they did nothing to create. "If we're still here in 10 years time we either wait for the flood and die, or just walk away and go someplace else. "The US government imposed this Western lifestyle on us, gave us their burdens and now they expect us to pick everything up and move it ourselves. What kind of government does that?" North of Kivalina there are no roads, just the vast expanse of Alaska's Arctic tundra. And at the most northerly tip of US territory lies the town of Barrow - much closer to the North Pole than to Washington DC. America's very own climate change frontline. 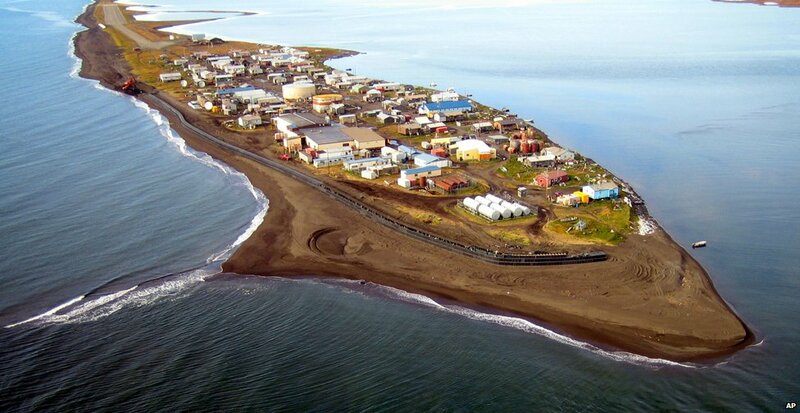 Barrow's residents are predominantly from the Inupiat tribe - they hunt bowhead whale and seal. But this year has been fraught with problems. The sea ice started to melt and break up as early as March. Then it refroze, but it was so thin and unstable the whale and seal hunters were unable to pull their boats across it. Their hunting season was ruined. For the first time in decades not a single bowhead whale was caught from Barrow. One of the town's most experienced whaling captains, Herman Ahsoak, says the ice used to be 3m (9ft) thick in winter, now it is little more than a metre. "We have to adapt to what's coming, if we're gonna keep eating and surviving off the sea, but no whale this year means it will be a long cold winter," he says. Barrow is known as the Arctic's "science city". In summer it hosts dozens of international researchers monitoring the shrinking of the Arctic ice and - no less important - the rapid thawing of the tundra's permafrost layer. But it is the anecdotes that are as striking as the columns of data. I join a team of scientists taking samples of the ice off Barrow Point. We motor across the offshore ice on all terrain vehicles, but we are not alone. "You'll be escorted by armed bear guards," my local guide, Brower Frantz, says before we set out. "The ice is too thin for the polar bears to hunt on so they're stuck onshore searching for food. You don't want to be on your own when you meet a hungry bear," he adds. Protection: The inhabitants of the village have always been protected from ferocious storms by a think layer of ice. Alaska's role in the climate story is about cause as well as effect. As America's Arctic territory warms it continues to be a vital source of the carbon-based fossil fuels seen by most scientists as a key driver of climate change. 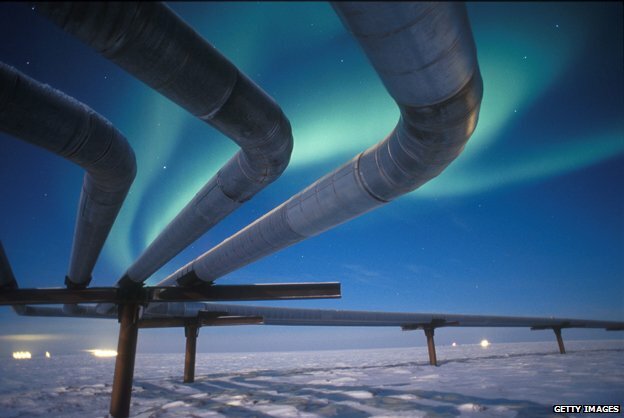 Alaska's North Slope is the US's biggest oil field and the Trans Alaska pipeline is a key feature of America's drive for energy security. As production from the existing field tails off there is enormous pressure to tap untouched Alaskan reserves. Shell has launched an ambitious bid to begin offshore Arctic drilling despite a chorus of disapproval from environmental groups. Concerns intensified when a rig ran aground off the Alaskan coast at the beginning of this year. Operations are currently suspended, but the prize is too valuable to ignore. Kate Moriarty, executive director of the Alaska Oil and Gas Federation, believes Alaska possesses 50 billion as-yet untapped barrels of oil. "The reality is the Arctic is going to be developed," she says. "And who do we want in the lead? I say we want it to be the United States because the reality is the world demand for oil and gas is not going to go away." When President Obama pledged to redouble his efforts to reduce America's carbon emissions last month, his words met with little more than a shrug in Alaska. The state owes its existence to oil. Revenues from the oil industry make up more than 90% of the state budget. Oil money means no income tax and an annual handout to every Alaskan resident. And when it comes to balancing two conflicting pressures - a rapidly changing climate on the one hand, the demand to expand the state's carbon-fuelled economy on the other - there is little doubt where the priority lies. The deputy commissioner of Alaska's Department of Natural Resources, Ed Fogels, makes no apology for Alaska's strategy. "When everyone pounces on Alaska and says 'oh, the climate is changing, the Arctic is changing, things are out of control', we say wait a minute. We've been developing our natural resources for 50 years now. Things are going quite well thank you." 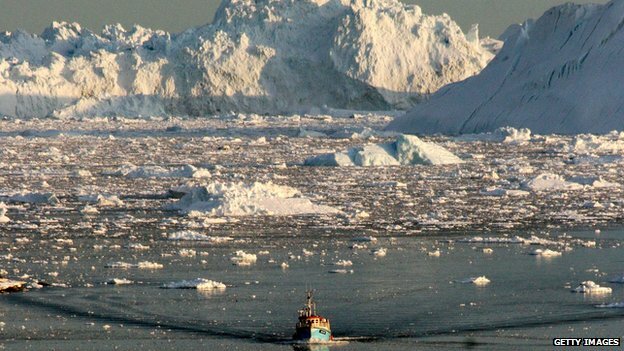 Within a generation the Arctic ocean may be ice free during the summer. The rate of warming in the far north is unmatched anywhere else on the planet. In terms of resource exploitation, shipping access and human settlement Alaska is likely to become a more attractive proposition. Scientists call that a positive feedback effect. For Alaskans on the climate change frontline - and for our planet - it may not be positive at all. areas under British control are highlighted in red. English Heritage has drawn up a list of 88 vessels known to have sunk within territorial waters over the three centuries from the Tudor period until the advent of iron-hulled steam ships in the Victorian era. Although the locations of some of the shipwrecks have already been established, others must first be discovered before marine archaeologists can dive onto them to carry out surveys. The vessels cover a period in which Britain emerged as the world’s most powerful maritime nation and range from sixteenth century armed merchant vessels to warships from the era of Lord Nelson. The most recent on the list was an early paddle steamer which went down in 1838, in one of the country’s most famous sinkings. The SS Forfarshire, which could also be sailed, ran aground and foundered in a storm off the Farne Islands while on route from Hull to Dundee. Forty two people drowned, but survivors were rescued by Grace Darling, a lighthouse keeper’s daughter, and her father, who rowed out to the stricken vessel. HMS Royal George, the largest warship in the world when launched in 1756. – HMS Royal George, the largest warship in the world when launched in 1756. It was the British flagship at the Battle of Quiberon Bay, in 1759, and took part in the Battle of Cape St Vincent in 1780, both victories over the French, before an ignominious end saw it sink during routine maintenance work whilst anchored off Portsmouth in 1782. More than 900 people were killed, the biggest loss of life in British waters. Part of the wreck has been cleared and cannon were melted down to form part of Nelson’s Column. – HMS Venerable, which served as the British flagship in the victory over the Dutch at the Battle of Camperdown, in 1797, before being wrecked on rocks near Torbay, seven years later. – HMS Royal Katherine, whose launch in 1664 was attended by Charles II and Samuel Pepys. Later renamed HMS Ramillies, she fought in six battles before her loss, almost a century later, in 1760, when she was wrecked at Bolt Head, near Plymouth. Only 28 survived from the crew of 850 men. – HMS Anson, launched in 1781. Another veteran of fighting against the French and Dutch, in 1799 King George III came aboard for a celebration in his honour. During the course of the evening, he was found below decks, surrounded by the ship’s company. The vessel sank in 1807, off the Cornish coast, after losing her anchors in a gale. The poor treatment of the bodies of drowned sailors washed ashore, led to a public outcry and new legislation. – HMS Primrose, a sloop of war which hit rocks near The Lizard, Cornwall, leaving only one survivor, a drummer boy. – A wreck in the Isles of Scilly believed to be The Flying Joan, part of Sir Walter Raleigh’s fleet, which was lost in 1617, on the way to the West Indies in search of the mythical riches of El Dorado. The earliest is an unidentified wreck on Walney Island, near Morecambe Bay, thought to be an armed merchant vessel from the Tudor period. Other vessels include an eighteenth century cargo barge, known as a Mersey Flat, as well as an East Indiaman and a West Indiaman, both trading vessels. The first dives will occur this summer, but it will take six years to study all 88 wrecks. The team will complete a report of each case and those considered to be historically significant will be passed to the Department of Culture, Media and Sport for designated under the Protection of Wrecks Act. The legislation, which is 40 years old this week, defends the wrecks from unauthorised diving and damaging fishing activities. 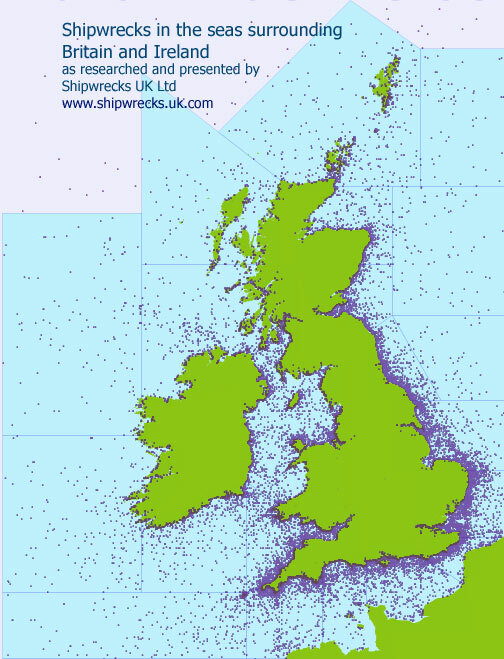 There are currently only 47 vessels covered by the Act – most of which sank after 1840. The 88 wrecks are all within 12 nautical miles of the English coast. They have been identified during preliminary research of archives. 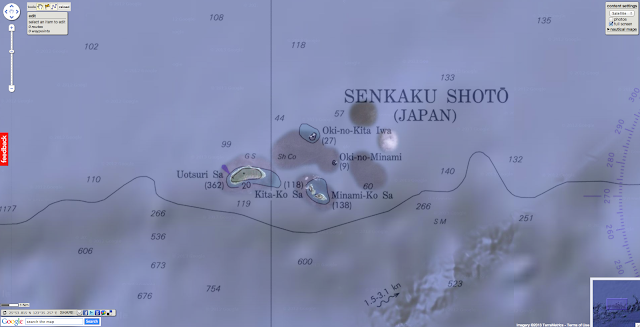 Some are marked on charts, others have been located by amateur divers, or by sonar scans, but some have not been fully located and none have ever been archaeologically surveyed. Wooden wrecks deteriorate faster than metal ships and in some cases, there may be little remaining of the vessels. The team are planning to work their way around the coast in a clockwise direction, starting this summer in the north east. The project is to be conducted in conjunction with a similar scheme to identify British and German shipwrecks of the First World War. The government aims to start preservation work on about 400 remote islands that are the base points in setting the nation's territorial waters. A liaison council comprising concerned government entities, such as the Finance Ministry, the Justice Ministry and the Japan Coast Guard, will soon be established to conduct a survey to collect such details as the islands' owners, their nationalities and the names of such islands. The purpose of the survey is to reinforce the nation's control over marine resources and security. The government plans to complete the survey by the end of next year and take necessary actions, such as nationalizing remote islands without owners. Japan comprises more than 6,000 islands that form a total of about 4.47 million square kilometers of territorial waters and exclusive economic zones (EEZ), about 12 times the nation's total land area of about 380,000 square kilometers. (Russia, Republic of Korea, PRC and ROC). The above, and relevant maps at the Sea Around Us Project both indicate Japan's claimed boundaries, and do not take into account neighboring powers' claims. Remote islands are considered to be those other than Honshu, Hokkaido, Kyushu, Shikoku and the Okinawa main island. About 500 are considered base points for Japan's territorial waters and EEZ. The government has been working to preserve 99 islands that are EEZ base points through a policy outline compiled in 2009 regarding the management of oceans. The planned survey will cover the remaining 400 islands, which serve as the base points of territorial waters. The ownership and management of many remote islands remains uncertain. 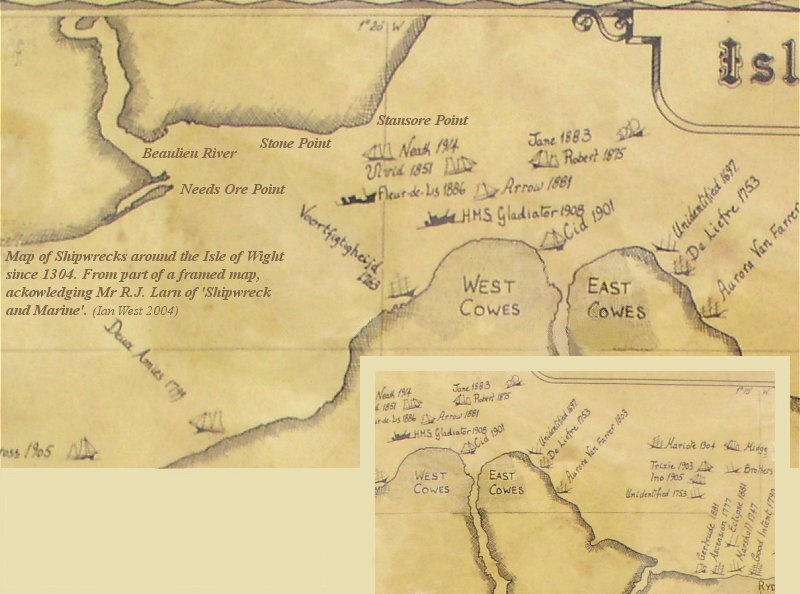 Also, about 200 islands have not been named in a JCG nautical chart. According to a government source, some islands have been included in nautical charts but remain uncharted in a map made by the Geospatial Information Authority. 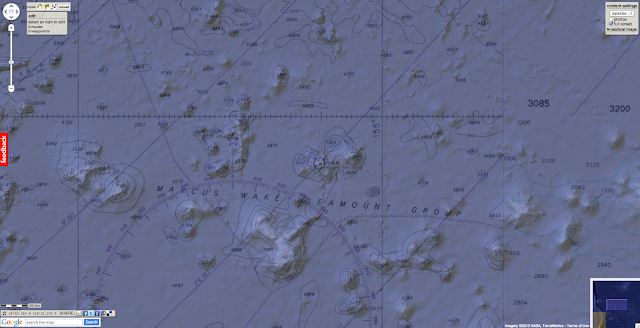 The liaison council will reconcile the contents of such nautical charts and maps, as well as assign names to unnamed islands. 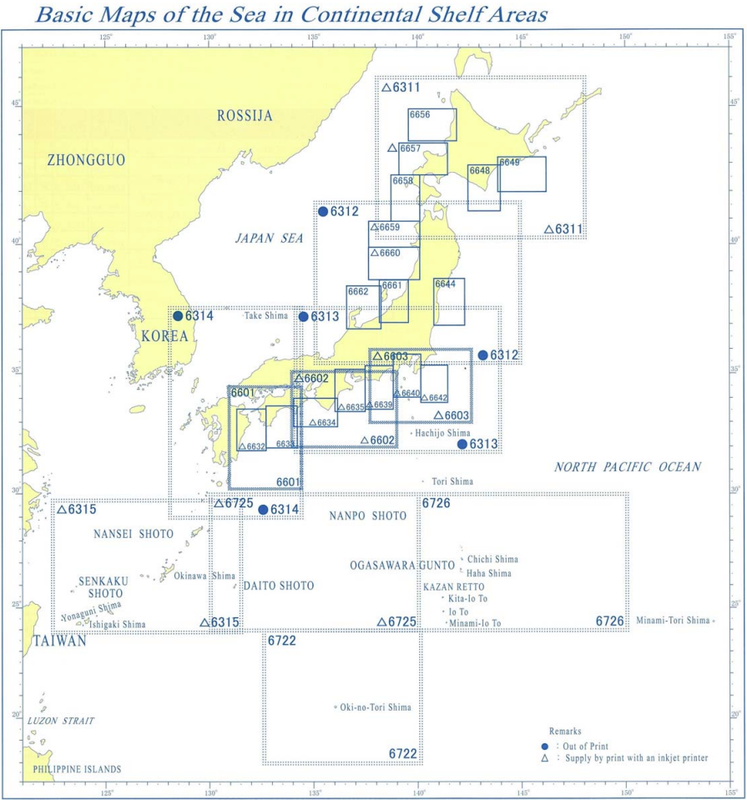 Japan's sovereignty extends to the air space above its territorial waters, as well as the sea and sea bottoms beneath them. Preserving the remote islands will also contribute to the preservation of fishery and subterranean resources under the sea bottom of the nation's territorial waters. Chinese maritime activity, including intrusions by submarines and other naval vessels, have intensified in sea areas near Japan. The planned research is also aimed at selecting which remote islands can be utilized for building a network to monitor such activity. Territorial waters are defined as sea areas 12 nautical miles (about 22 kilometers) from a nation's coastlines. Coastal and island nations can set territorial waters under the UN Convention on the Law of the Sea. The base points for setting territorial waters are low-tide lines--shorelines where the sea and land meet during low tide. If the base point is an island, it needs to fulfil such conditions as being naturally formed land located above sea level during high tide. 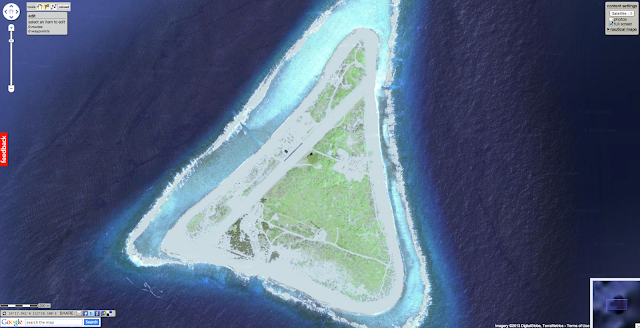 The government will conduct a full- scale survey on remote islands because the importance of national land conservation as been highlighted by conflicts with China over the Senkaku Islands in Ishigaki, Okinawa Prefecture. 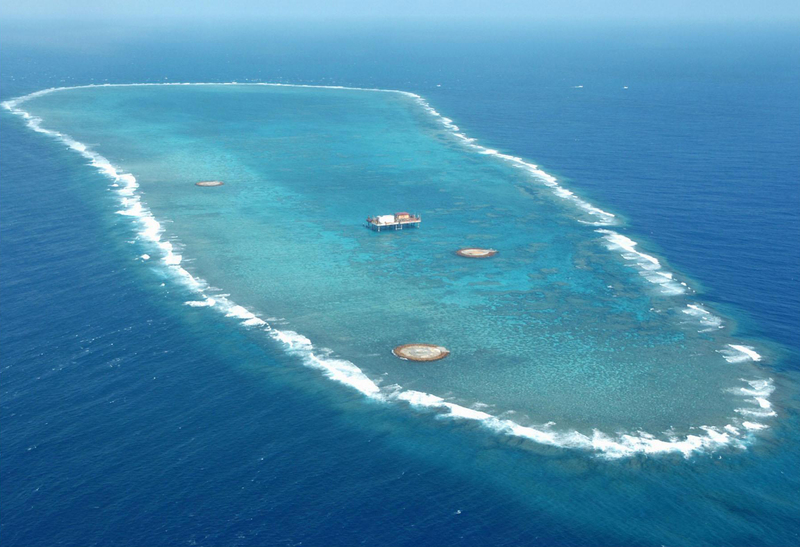 The planned survey also reflects the opinion of Prime Minister Shinzo Abe, who has repeatedly stressed, "We have to protect territorial waters at any cost." Since it has a large number of remote islands, Japan cannot appropriately manage and preserve all of them. Even if individuals own islands, insufficient management will cause the islands' shape to change through erosion. If this happens, Japan may lose some of its territorial waters. Some islands have even remained nameless, and many remote islands have names that may mislead the international community to believing that they are merely rocks. The fishing industry has also expressed concern over the situation, particularly in Kyushu, which is close to China, South Korea and Taiwan. Many fishermen have demanded that the government take action to preserve remote islands that can enhance the management of territorial waters. The government has already compiled its basic policy for preserving remote islands, but will consider additional measures based on the results of the envisaged survey. Between Home is a high spirited, poetic adventure documentary, that chronicle's a young person's rites of passage, from novice sailor to expert in three years of life aged in salt, sun and wind. Shot onboard and also on location around the globe, Between Home displays the panache of Nick Jaffe's ocean odyssey from Europe to Australia, and what happens when you dare to follow your dream. When Nick Jaffe confessed to filmmaker Jack Rath that he was 'raw recruit' to sailing and needed to learn how because he was planning a 26.000 km passage around the world it was a clear subject for a film. Filmed over four years, 'Between Home' documents the odyssey of this Australian whiz-kid programmer. Beginning shortly after Jaffe purchases a second hand-boat in England, the film captures Jaffe's modulation of moods from high frequency stress to debased hilarity. Jaffe lives 'hand to mouth' while sinking deeper into debt and so invites the world to experience his dream through a blog that will help fund his voyage. The generosity of people wanting him to succeed is overwhelming yet it creates a paradox of added pressure from the world he's trying to retreat from. Alone at sea Jaffe keeps a video log, and answers questions given to him before departure. His philosophy appears to be a combination of auto-didacticism and 'gung ho libertarism' as he sails without permits or insurance. At certain points on Jaffe's voyage, Rath catches up to him in Berlin, England, the Canary Islands, the Caribbean, Long Island, on a road trip across the U.S. As Jaffe voyages through the Pacific he encounters love, loss, and the ferocity of nature with a tsunami. As the sailor reaches his home shore Australia, the filmmaker meets him and captures Jaffe's abrupt confrontation with meaning of the term 'closure' in an unanticipated way.